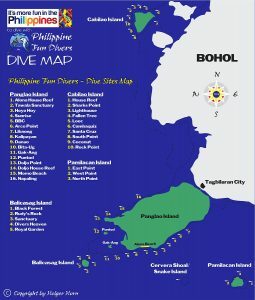 Please choose the dive spot on the map below by clicking on a location pin. A white window with the Dive Spot Name and an initial and brief description will appear. Please click on the Dive Spot Name above to read about the general and specific description, the Marine Life and to enjoy a few pictures. 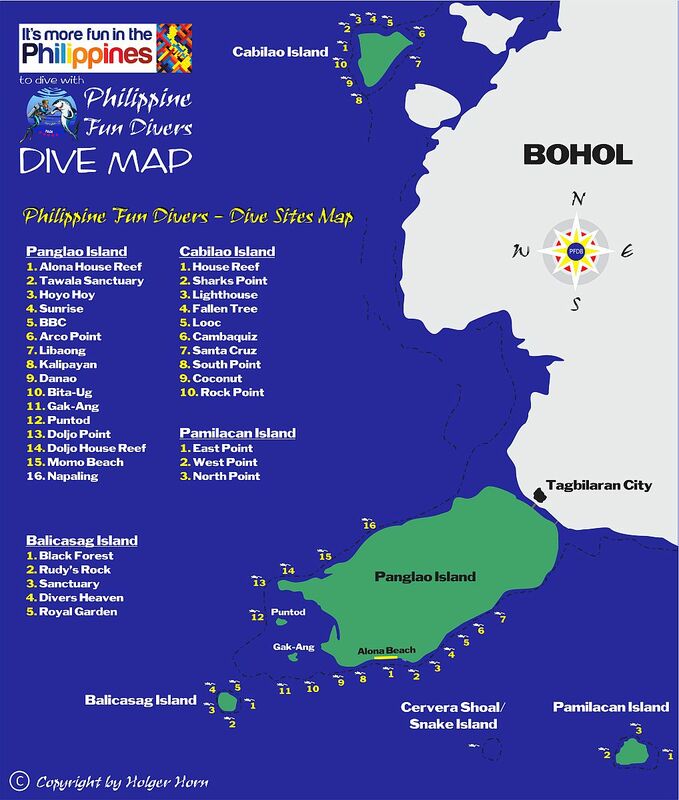 (Note: There is a link in every location pin to take you to the information page for that particular dive spot).